Putting stamps on a manila envelope should be an emergency-only effort for business correspondence. Metered postage reduces delivery delays, ensures you don't overpay or underpay on postage and presents your business in a professional way. However, when you absolutely must mail with stamps, your envelope's weight and size will determine the number required. 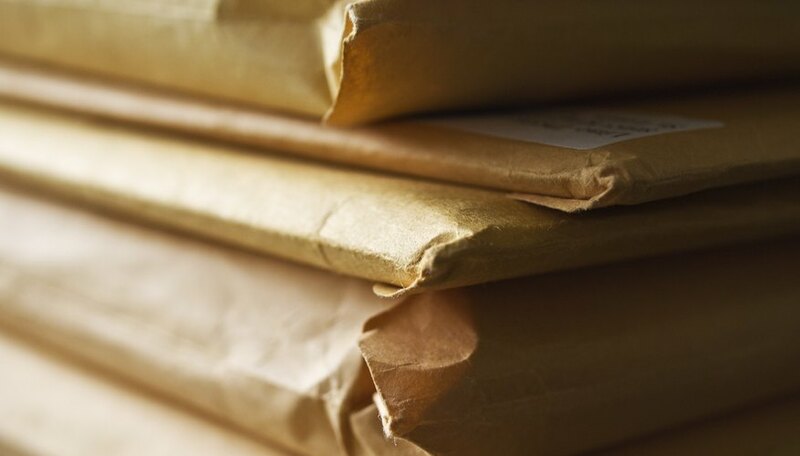 Large envelopes, such as a 9 by 12 inch manilla envelope, oversized cards and other large, lightweight mailers such as brochures, ship in a category of first class mail known as flats. The postage scale for flats as of Jan. 21, 2018, starts at $1 for a 1 ounce mailing and maxes out at $3.52 for 13 ounces, the top weight allowed for first class mail. If you are using a regular first class stamp, its value is 50 cents, so it would take two stamps to ship at a 1 ounce weight and eight standard stamps for a 13 ounce package. For intermediate weights, add 21 cents to the $1 base charge for each additional ounce. Smaller manilla envelopes, such as those that are 6 inches by 9 inches, meet the size requirements of standard letter mail and can be shipped with one stamp if the weight does not exceed 1 ounce. Two or three-ounce letters require two stamps, and a third stamp is necessary for 3.5 ounce letters, the maximum weight allowed before moving back into the flats category. When ordering business supplies, choose manilla envelopes without clasps for shipping purposes. Clasps and other bulky or rigid items, such as pins or medallions, require the payment of a non-machinable surcharge of 21 cents. 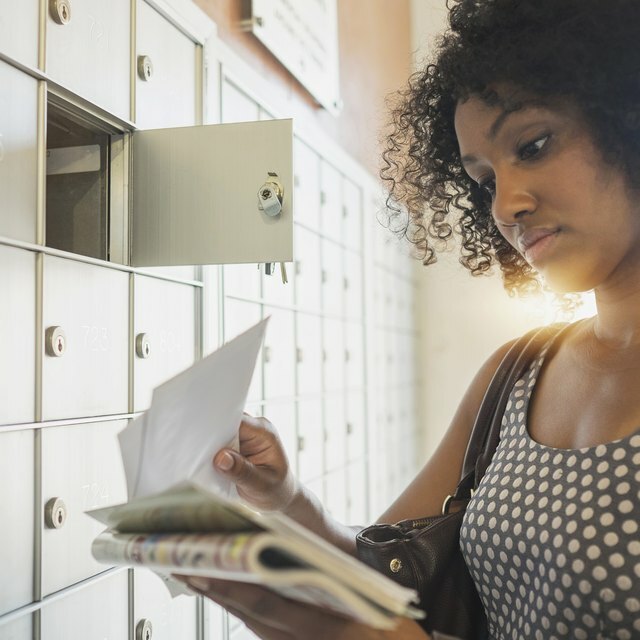 In addition to size and weight limitations, the United States Postal Service also requires that letter mail be machinable and flat mail flexible. If your business is mailing photos in a letter envelope and adds a "Do not bend" sticker, expect to pay the non-machinable surcharge. Adding a piece of rigid cardboard to a flat to keep photos from bending will move the manilla envelope into the USPS first class parcel category, increasing charges yet again. A 1-ounce first class package ships for $3.50 while a 13-ounce package costs $5.50. To calculate exact postage on a first class package or envelope, use the USPS shipping calculator. To reduce overall costs when shipping in a manilla envelope, using metered postage is the best option from both a cost and efficiency perspective. If you ship a 13-ounce flat, which requires $3.52 in postage with eight standard stamps, the total cost of shipping will rise to $4. The USPS sells postage stamps at odd values, such as 2 cent, 3 cent or 21 cent, but your business would need to maintain an inventory of stamps, a larger upfront investment. The addition of numerous stamps to a mailing also reduces the item's ability to move through automated mail sorting machinery, which can cause delivery delays. For a business, delays add up to further costs when contracts or other important documents are mailed. Consider visiting your local post office for rare mailings and purchase metered postage at the counter. For a business that ships a large amount of documents or packages regularly, additional solutions exist to save time and/or money. A digital scale paired with the shipping label options at USPS.com can reduce overpayments and eliminate the need for a stamp inventory. Many businesses also use third-party postage providers, such as Stamps.com, Pitney Bowes or Endicia to streamline regular shipments. While these services carry additional fees, the reduced postage costs available through their services may result in a decrease your overall costs based on shipping volume.